Why do the world’s leading multi-site brands use ServiceChannel to manage over 50,000 contractors at over 300,000 locations worldwide? 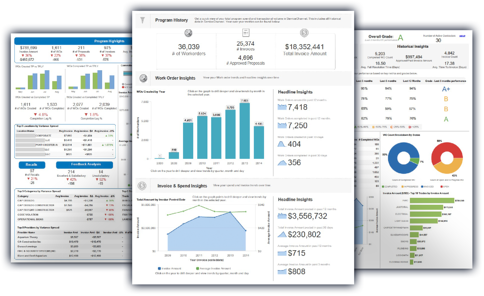 ServiceChannel drives rapid, real ROI for facilities managers and their contractors. Request a live demo and see how you can easily reduce your repair and maintenance spend, control the size of your staff, and drive savings through the use of our award-winning facilities management software.